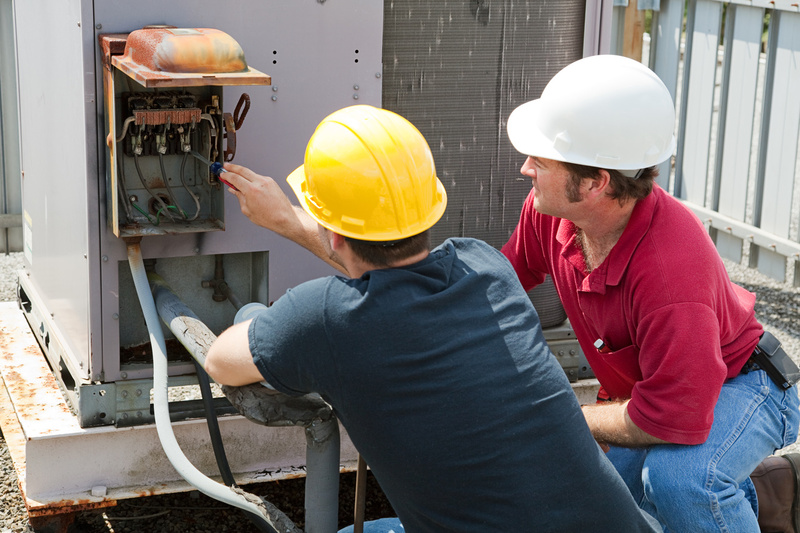 Studying to be an HVAC technician puts you on a path to a viable career. If you are able to secure an HVAC apprenticeship, you’ll have the opportunity to learn while you earn – one of the many benefits of apprenticeships. How to get apprenticeships, however, is a question that deserves an answer. Enroll in a good heating, ventilation and air conditioning (HVAC) program. After you’ve completed your HVAC education at Florida Academy, you are privileged to lifetime job placement assistance, personal job leads and relocation assistance that can jump-start your career and keep it going wherever you are. They may even be able to help you search for an apprenticeship. Regardless of the amount of training you’ve already received, you’ll learn more about the basics of heating, refrigeration, plumbing, pipefitting and electrical work. This will include learning to repair, maintain and install HVAC equipment. You might gain industrial knowledge of HVAC software such as computer-assisted drafting (CAD) programs and computer-based blueprints. Before you begin an HVAC apprenticeship, you’ll be briefed on safety practices, as well as how to use the tools and specialized equipment needed on the job. • Contacting employers that have registered as apprenticeship sponsors, even if they do not have openings at the time. • Contacting an independent HVAC business owner who might need to hire a helper. When you meet, bring your certifications, school transcripts, authorization to work in the U.S. and driver’s license. Let them know why you are the person for the job. • Contacting a local union chapter for the HVAC field, which could be the pipeworkers, plumbers or sheet metal workers union, to see if they offer apprenticeship programs. • Contacting your state’s HVAC licensing board to see if they are aware of companies offering apprenticeships. • Visiting Florida Academy’s career services department to ask for help finding an HVAC apprenticeship. As an HVAC apprentice, you’ll have on-the-job training that reinforces what you’ve already learned during your HVAC training program at Florida Academy. It may give you the chance to learn advanced techniques, and you may discover that you want to specialize in a particular area of HVAC. It’s a monstrous field that offers opportunities in transportation refrigeration, grocery stores, restaurants, hospitals, residences and other service areas. Your apprenticeship could lead to a position as an estimator, salesperson, office manager, project manager, lead technician or lead installer, among others. During your search for an HVAC apprenticeship, however, be sure to verify that the program meets the requirements of the Bureau of Apprenticeship and Training (BAT). According to the Bureau of Labor Statistics (BLS), HVAC technician employment is expected to increase by 15 percent through 2026. If you like those odds, consider Florida Academy’s HVAC program. Because of the hands-on education you receive, your skills will be more valued by employers because you’ll have actual work experience when you start your first job. If you have also worked as an apprentice, your employment chances are even greater. At Florida Academy, you can choose from convenient day or evening classes that will complement your busy schedule. In as few as four weeks, you’ll have HVAC skills that you can take anywhere. 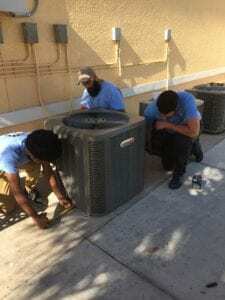 Contact Florida Academy today to get started on your HVAC career.